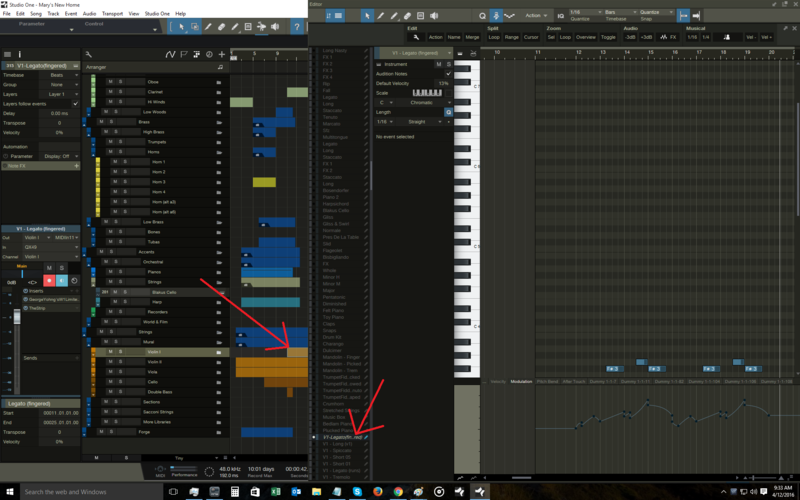 When single-clicking on a folder track, the Navigation pane in the Music Editor is inconsistent. Sometimes it updates. Sometimes it doesn't. I can try clicking again.... then again. And it will update to show the first screenshot. But it's certainly doing something odd. Screenshot 1 - What it does... sometimes. If you'll notice, I also put the first track in the folder at the top of the Navigator. Admittedly that portion of this bug report might be a feature request if you didn't design it that way. But where people naturally read and scan from top to bottom, I'm sure it will make sense to do it if it's easy enough. It would make switching instruments (for quick editing) loads easier for me, so I'll admit I'm just...slightly... prejudiced. I think that's a pretty solid case though, as putting it at the bottom isn't something I think anyone would really expect. As a new user to S1, I'll say that aside from trying to better navigate tracks / articulations, everything is truly brilliant... like "top 3 programs I've ever used" brilliant. Seriously, well done folks! Every day I find something new that I'm like "yeah... they freaking get it!" Note: I am using VEP to host instruments on 2 additional machines. The tracklist highlights your visible instrument tracks. However, my instruments are miles apart as I'm working in a rather large template with hundreds of tracks. A button at the top / bottom to only show tracks visible in the editor would help. I don't think that's a complete fix to the problem of large-scale navigation. But if the track list had that and was broken down by folders, it would be much more manageable.